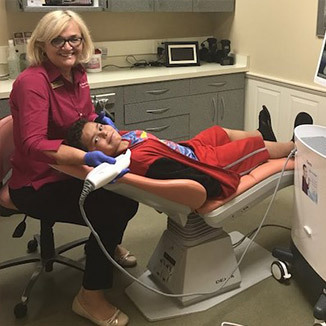 The iTero Element Scanner is a state-of-the-art digital impression system that eliminates the need for unpleasant traditional impressions—no more messy putty in your mouth! 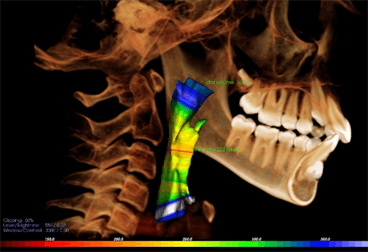 With our iTero Element Scanner, we can digitally capture a detailed, 3D model of your teeth and gums. It gives your Amherst orthodontist the immediate ability to begin planning your treatment. The iTero hand-held scanner is simply held over the teeth wherein it will quickly and efficiently scan all sides of the teeth to create a high quality 3D image. This image is then digitally saved and sent to a lab for the creation of the aligners or retainers. Unlike messy impressions using putty-like material and trays that takes between 10 and 20 minutes to complete, we can capture digital images using the the iTero scanner in less than 3 minutes. This scanning technology even comes with a built-in simulator. This allows us to create a simulation of what your teeth will look like once they are straight and in the correct positions. This is a great way for us to evaluate the potential results and for you to see how attractive your smile will look once you’re finished with treatment.